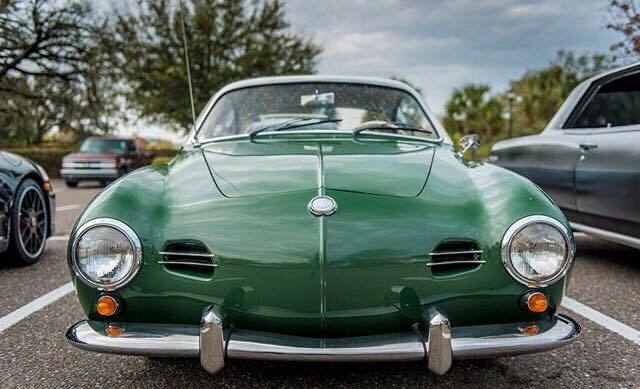 When we saw Pete’s Lowlight Karmann Ghia aka ‘Jig-saw’ – we just fell in love! “I bought it around October of 2015 from the “Triple J’s” (Josh Buchan, Jarrod Worth, Johnny Main) out of Victoria, BC. 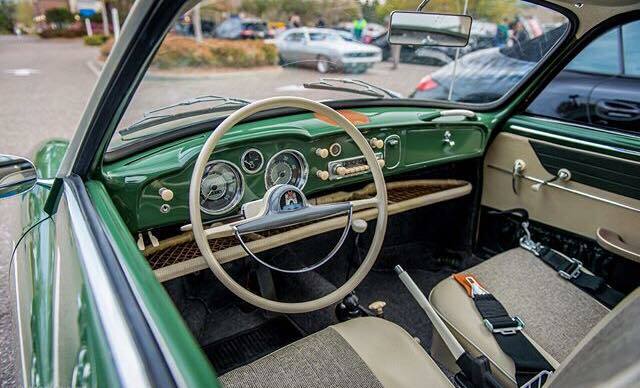 The story on the car was a prior owner had taken it all apart, painted it, then left it sitting unassembled for years until the Triple J’s bought it. They dubbed it “Jigsaw” due to the challenge of putting something back together that someone else had taken apart. They did and excellent job building it back to a reliable, stock driver. 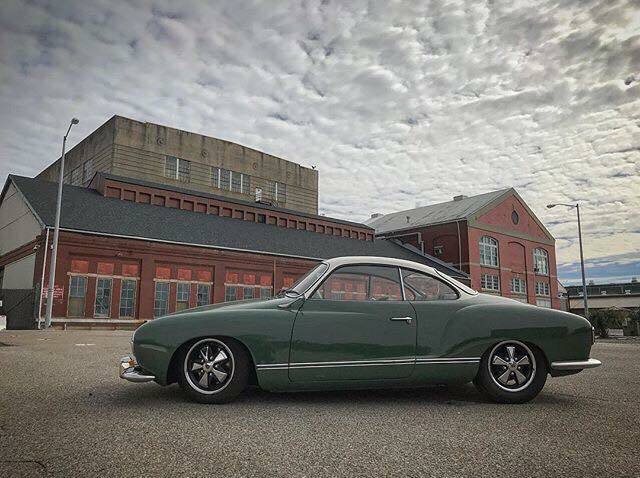 When I bought the car from them they delivered it to Kustom Coach Werks in Grand Junction, Colorado for me, where I had the KCW guys dial it in to my liking. It now sits on a KCW 4” narrowed beam, 2.5” drop spindles, front disks and detailed Fuchs. 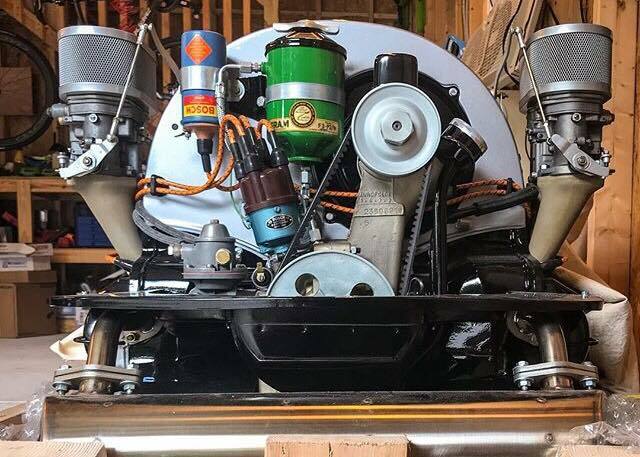 “Over the past couple of years I’ve collected parts for a vintage-speed inspired 36hp build, and now have the completed engine ready to install. It’s a 1397cc (80×69.5) Joe Ruiz built long block complete with Wolfsburg West dual port heads and hi-po cam. “Intake and exhaust valves have been enlarged to 35/33mm, and a Berg sump has been added. 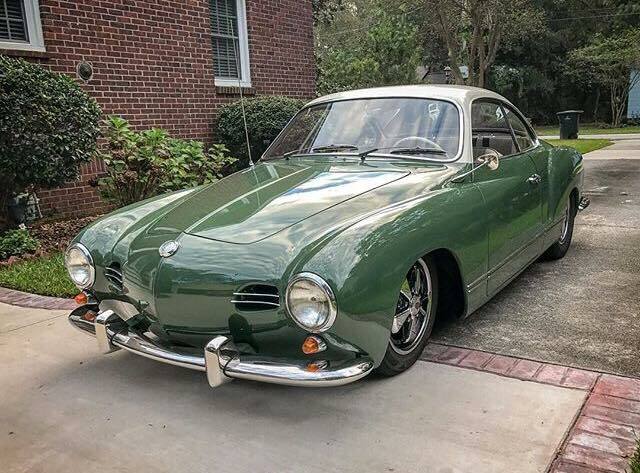 “The engine features an NOS Bosch Blue Screamer 019 and coil, Airflow Systems oil cooler, AA Performance 1.15:1 rockers, Speedwell USA intake manifolds, dual 36 Dellorto carbs, and Vintage Speed Knecht-style air cleaners and Abarth style exhaust. 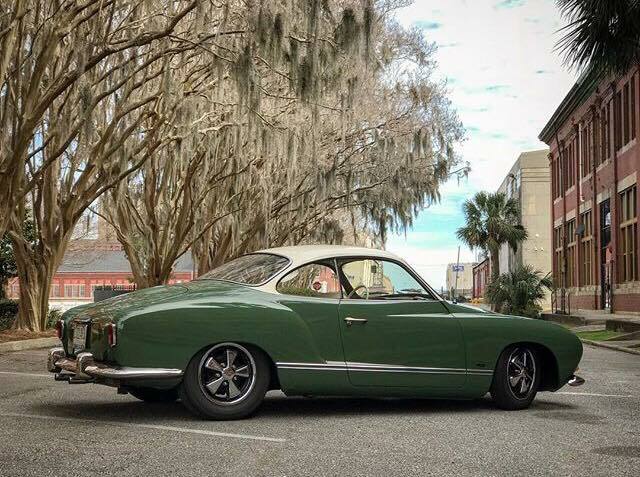 “Franz Muhr at KCW built the engine to turn-key and incorporated Porsche details such as an NOS Fram F3-P oil filter, and 356 coil/oil filter bracket, 356 fuel pump, and 356 carb linkage. 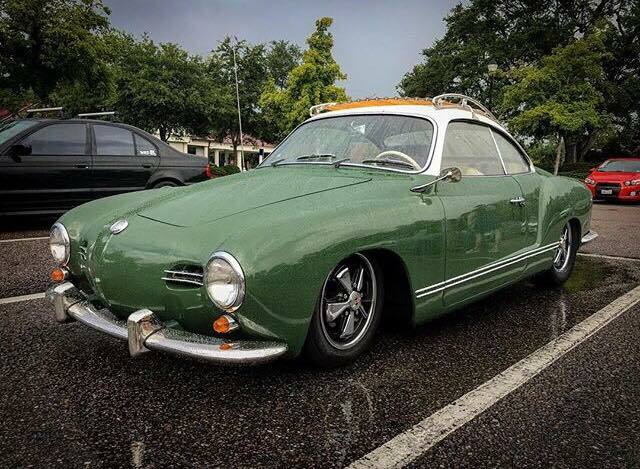 Thanks Pete for sharing your amazing ride with us! 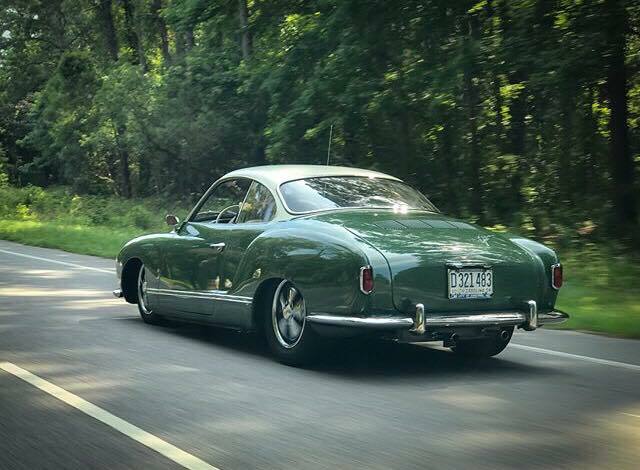 If ypu’d like your ride featured – send us some hi-res images and some information and we’ll take it from there!